Powerfully emotional, our promotional film for Nottingham in Parliament Day on behalf of the University of Nottingham drummed up pride and helped raise awareness of the region in Westminster and beyond. The University of Nottingham is a globally-renowned research centre, ranked in the top 1% of all universities worldwide, with over 44,000 students and 9,000 staff. It is proud to promote both itself and the city of Nottingham as a uniquely versatile place to live, work and study. Nick King is Marketing Projects Manager at the University of Nottingham. It’s his job to run a diverse set of projects that help raise awareness of the university, its brand, and the impact it has locally and across the country. Simon Gray is Chief Executive at Nottingham Means Business, an organisation that promotes collaboration in the business community and helps strengthen the local economy. They were both involved in the creation of our promotional film and advertising campaign for Nottingham in Parliament Day. This is the story of how it happened. Step away from rushed, ad hoc projects. Create more strategic and effective video content. 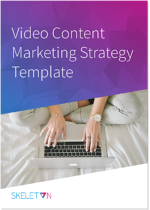 Download our simple template for the planning framework you need to integrate video content into your content marketing strategy. In 2016 The University of Nottingham hatched plans for a unique one-day takeover of Westminster called Nottingham in Parliament Day. The groundbreaking day would be an opportunity to showcase the businesses, ideas and people that make Nottingham great. 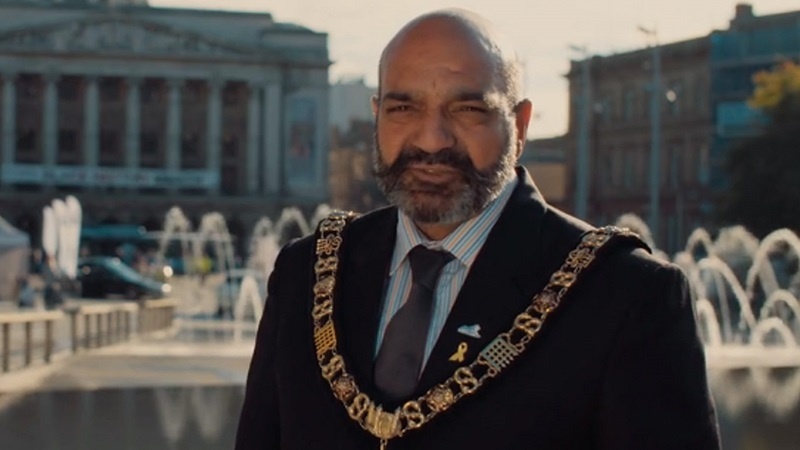 It wasn’t just about making Nottingham locals proud, but also about raising the region’s profile in the minds of key influencers, policymakers and MPs in London. “The goal was to get the attention of London decision makers so they would take a closer look at Nottingham,” explains Simon. Over 45 different events took place throughout the day to promote business, sport, research, culture, talent and innovation. More than 100 partners from across the region helped the University to highlight a range of Nottingham’s unique strengths and opportunities. It was a huge opportunity with a lot at stake. Nick was responsible for the business reception, a prestigious event held in the evening at the Houses of Parliament. This event was targeted at potential investors and businesses that might be interested in relocating to the region. Nick wanted something to make Nottingham stand out — and to epitomise the values and messages of the entire event. Nick and the University had already worked with us before on a number of successful projects. So he organised a meeting with us and Simon to discuss a film that might be able to bring something unique to the business reception and the whole of Nottingham in Parliament Day. As fellow proud Nottingham folk, we were eager to get involved! The first point of order was understanding the kind of industry and business leaders such a film would need to speak to (Simon’s knowledge of the business community came in handy here). But those ideas, told without passion, just wouldn’t cut it. Over the course of the meeting we challenged the idea of a standard factual talking heads video. We argued that a strong emotional concept would get across the desired messages in a much more vibrant, exciting and surprising way than a list of facts about Nottingham. Our creative approach was born: the idea of daring to be different. We suggested an approach that involved filming Nottingham locals around landmarks of the city. This would include a mix of both familiar and unfamiliar faces. Each person would read part of a script that celebrated the city’s strengths in natural, familiar language. Our aim was to evoke strong emotion in the viewer, enough to send shivers down their spine, rather than simply creating a logical argument. As Simon put it, the film needed to pass the “goosebumps” test. With the approach decided on, we began work on creating the content. Nick and Simon reached out to influencers across Nottingham and asked them to get involved. We wrote the script and organised for key business figures to be filmed along with people from around the city. To maximise the budget, we filmed several eye-catching backdrops at different angles within a small radius. This gave the impression of numerous places on film — though in reality there were only two shoot locations. “That was a clever piece of planning by Skeleton,” adds Nick. Once we were happy with the footage, the final task was choosing the right soundtrack. This had to elevate the film and resonate immediately with viewers. We picked a rousing piece of classical music that built to an inspirational climax. Then we edited the film to match this tempo. Nottingham in Parliament Day took place on October 25th 2016. Nearly 3,000 guests attended the 74 hours of events and activities, including at least 800 policymakers. Approximately 90% of events were sold out, with many oversubscribed and standing-room only. Overwhelmingly positive media coverage reached 15 million people. There were a further 8.8 million social media impressions from the nationwide top-trending hashtag #NottinghamTogether. The moment of truth for us came at the evening business reception, when our promotional film was given its first public viewing to a crowd of 160 business leaders, investors and MPs. But the film isn’t a one-trick pony: it’s a reusable resource with a life long beyond the event itself. It went on to be shown at a Nottingham Means Business event to a large audience of local business leaders, where it received a positive and passionate reception. It’s featured on the Nottingham Means Business and Experience Nottinghamshire websites, and is available to institutions throughout the city looking to showcase their home. The film will also be used by Nottingham City Council and other partners at trade events such as MIPIM. Since Nottingham in Parliament Day the film has generated a lot of word of mouth. This was strengthened by an advertising campaign we ran across social media targeted at Notts locals who could spread the message further. To date the video has been watched almost 7,000 times on YouTube and over 13,000 times on Facebook, generating excited discussion about what Nottingham means to the people who live there. Overall the film met its goal of stirring up emotion to place Nottingham top of mind for key influencers. It was a crucial element of a successful Nottingham in Parliament Day that helped build lasting links between the city, MPs and decision makers.